The York Triathlon returns to York Sport Village and the 2019 UK Triathlon Race Calendar for the sixth year running, with 2 distances to choose from and the option to enter as an individual or relay team. The triathlon starts with a swim in the heated indoor pool, follows on with a flat multi-lapped bike course and finishes with a run. This spectator friendly venue is perfect for crowds to cheer on competitors and create a fun & relaxed atmosphere so, whether participating or supporting, get colleagues, friends and family involved, take on the challenge and join in the fun. 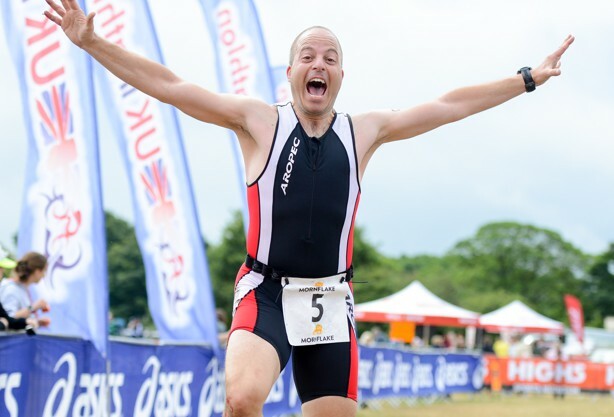 At the York Triathlon our “Fun” and “Sprint” distances are very popular with first timers and beginners, with short achievable distances that still offer a challenge. The York Triathlon offers a supportive environment, with cheering crowds and a fun & relaxed atmosphere meaning everyone enjoys the day, competitors and friends & family alike. We can offer lots of support and online beginners advice to help make your Triathlon the best it could possibly be for you. As well as a great atmosphere, you are sure to gain a special sense of achievement as you cross the finish line to receive that all important “finishers” medal and confirmation the end result was worth every bit of hard work! We want to encourage more women to have a go! Any age, any ability, just get together for the camaraderie and challenge, whilst raising vital funds for research into beating cancer. The bike course is lapped, flat as well as on a fully closed road to traffic. The run course is lapped, flat as well as fully closed to the public and traffic. All competitors must count their own swim lengths in the pool, their own laps on the bike and run. It is compulsory to wear a cycle helmet on the cycle section of the race. The event is chip timed. As I feel compelled to congratulate the teams involved in the York Tri, it was my 1st triathlon and thoroughly enjoyed it. The event was fantastically run with the staff/volunteers been excellent, I've done plenty of 10k's 1/2's marathons, tough mudder types but this was off the scale in comparison. from the minute I attended pre registration to the minute I left.....BUZZING! WELL DONE!! !